Green Party members across California are participating in the occupations of their towns and cities. The photo on the right shows LA Greens marching on 10/15/11. If you want your pictures posted on this page, send them to marnie@cagreens.org. Marnie Glickman (left), managing director of the Green Party of California, Terry Baum (center), Green Party candidate for Mayor of San Francisco, and Sue Vaughan (right), Terry's campaign manager at Occupy San Francisco on 10/15/11. 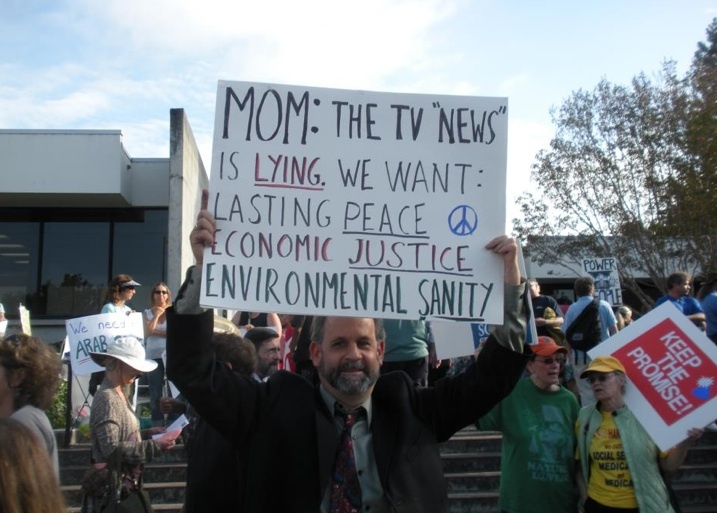 Woody Hastings, a Green Party of Sonoma County leader, at Occupy Santa Rosa on 10/15/11. 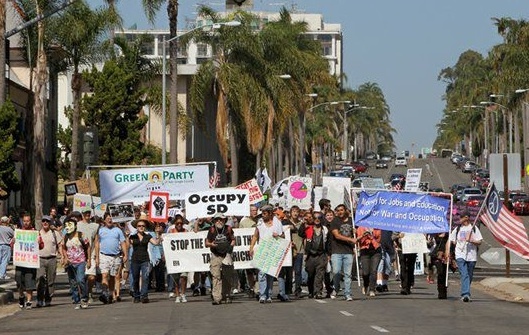 Green Party of San Diego members march at Occupy San Diego on 10/15/11. 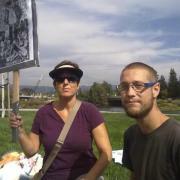 Alix Shantz (right), a co-leader of the Napa County Green Party and a member of our state party's coordinating committee, is participating in Occupy Napa.